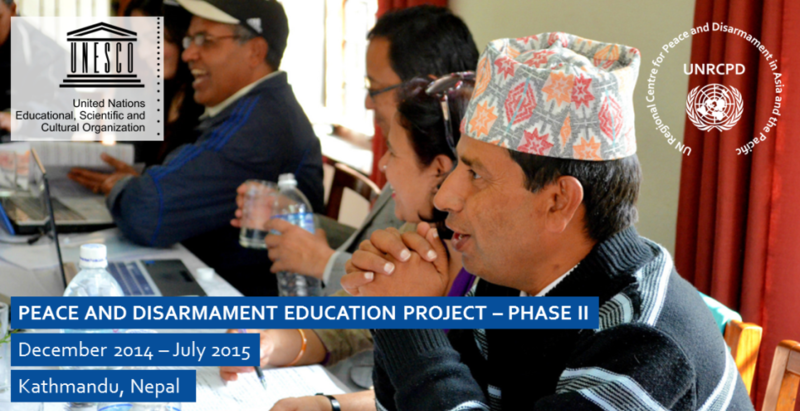 UNRCPD, together with Nepal’s Ministry of Education Curriculum Development Centre (CDC) and the National Curriculum Education Development Centre (NCED) and UNESCO Nepal, is implementing phase II of the Peace and Disarmament Education (PDE) project on 1 December 2014 – 31 July 2015. In line with the recommendations of the UN Study on Disarmament and Non-Proliferation Education (A/57/124), UNRCPD will provide secondary education curriculum planners and textbook writers with practical examples of ways to integrate PDE into the national curriculum for grades 9 and 10 as well as to translate it into grade 9 textbooks and grade 8 teachers’ guides, thereby reaching over 400,000 children per year. 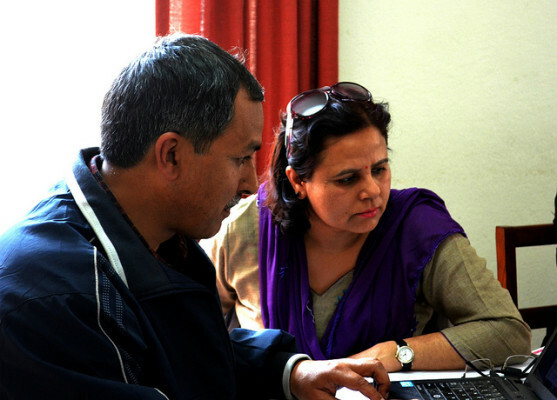 In addition, UNRCPD will help Nepal’s Ministry of Education’s teacher training body National Centre for Educational Development (NCED) review and identify PDE gaps in teacher training programmes, as well as design a stand-alone grade 6-8 PDE optional course. On 27-29 January 2015, UNRCPD organized a three day PDE workshop in collaboration with UNESCO and CDC Nepal for members of CDC, members of the armed Police Force Nepal and textbook writers. During this workshop participants were oriented on peace and disarmament education while textbook writers also drafted fifteen model PDE lessons to be incorporated into the grade 9 curriculum in Nepal. On 3 March 2015, UNRCPD organized another PDE workshop, again in cooperation with CDC and UNESCO. UNRCPD, UNESCO and CDC all provided initial input – UNRCPD shared the PDE model course outline that was developed the previous year, UNESCO gave a presentation on Global Citizenship Education and Education beyond 2015, and CDC shared their initial draft idea for a PDE optional course for grades 6-8. Drawing from these inputs, the textbook writers then worked together in drafting the course outline for a PDE optional course for grades 6-8 which was then presented to CDC for further review. On March 24 and 31 2015, UNRCPD organized a workshop, in cooperation with CDC and UNESCO, to draft the Social Studies teacher’s guide for grade 8. 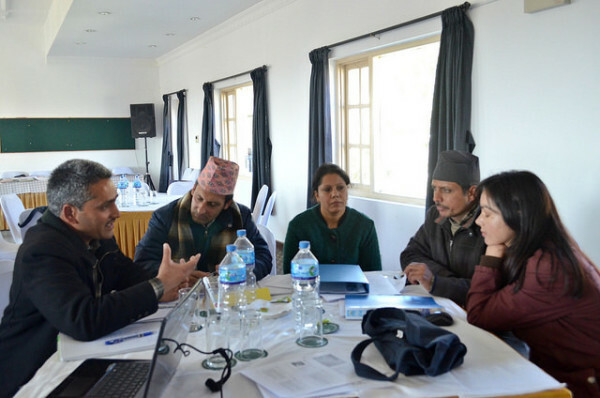 The workshop was split in two seperate days: on 24 March, UNRCPD provided input on PDE and its importance for Nepal’s context, and a first round of lesson drafting and feedback took place. On 31 March, the lesson writers presented their draft-lessons and received feedback which was then integrated during the workshop. As a result of this workshop, a total of 60 draft-lessons were submitted to CDC for their further review.